under the small umbrella: Need some advice? Then why not ask Vader! Need boyfriend advice, help with your quarrelsome wife, your boss, career or in need of some wisdom about your real purpose in life? Vader will (im)patiently listen to your questions (typed into a text input field) before dishing out his dark wisdom. 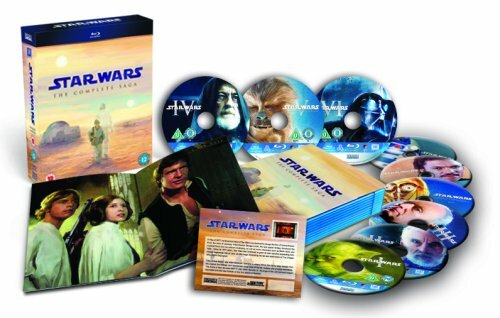 Other features include unlockable “Special Moments with Vader” – hidden surprises recounting some of Darth Vader’s most special memories from the Star Wars Saga on Blu-ray. Star Wars Moments is a new way to experience the Star Wars Saga. Jump right in and explore 300 of the most exciting, cinematic moments across the entire six-film Saga. With Star Wars Moments, your opinion counts; you have the opportunity to have your say. Rate any and all moments on a scale of 1-5 stars, select your six favorites, decide the victors in countless moment vs. moment battles, and even share specific moments with your friends on Facebook or Twitter. Keep in mind, every action you take helps decide the all-time favorite Star Wars Moment. For quick viewing, you can sort through the 300 Star Wars Moment by episode, or even by one of the following tags: Funny, Epic, Dark, Romantic, and Inspiring. Adding to the fun, you help decide what Moments fit into each category. Use the Visualiser View for a quick visual of the top moments. The bigger the Moment image, the more popular it is with Star Wars fans like you. Scroll over a Moment image to view a description, see its current ranking, and receive access to view the image in full size. You may even be able to watch a short video clip! There are also Top 10 lists that are showcased in a Leaderboards View, determined by the overall ranking results of everyone that participates. Be sure to recruit all your friends and family to experience Star Wars Moments for themselves, helping ensure your favorite moments rise to the top.